It can sometimes be difficult to choose between a 3 wheel scooter and a 4 wheel scooter. Especially when the model is same but configurations are different. The difference can only be understood by taking a little deeper look. It is necessary to know that both types of scooter undergo an extensive safety testing process to ensure complete safety of the user. Though 3 wheel scooters and 4 wheel scooters have their own strengths, irrespective of their configuration, they are tested thoroughly. Where to buy 3-Wheel Mobility Scooters online? 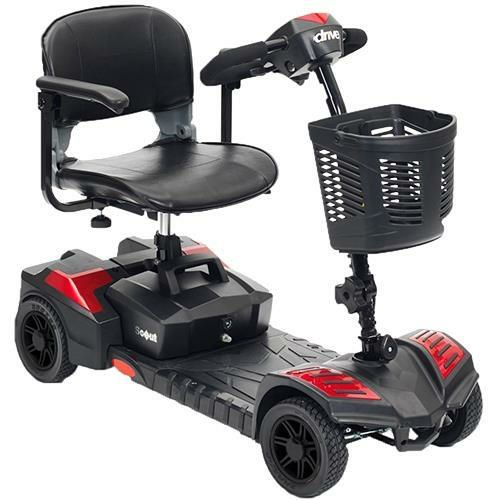 You can buy 3-wheel scooters from a wide selection of products available at shopwheelchair.com. Our extensive collection includes top brands in the industry like E-wheels, Drive Medical, Pride Mobility etc. Similar to a tricycle, a 3 wheel scooter features 2 rear wheels and 1 front wheel. 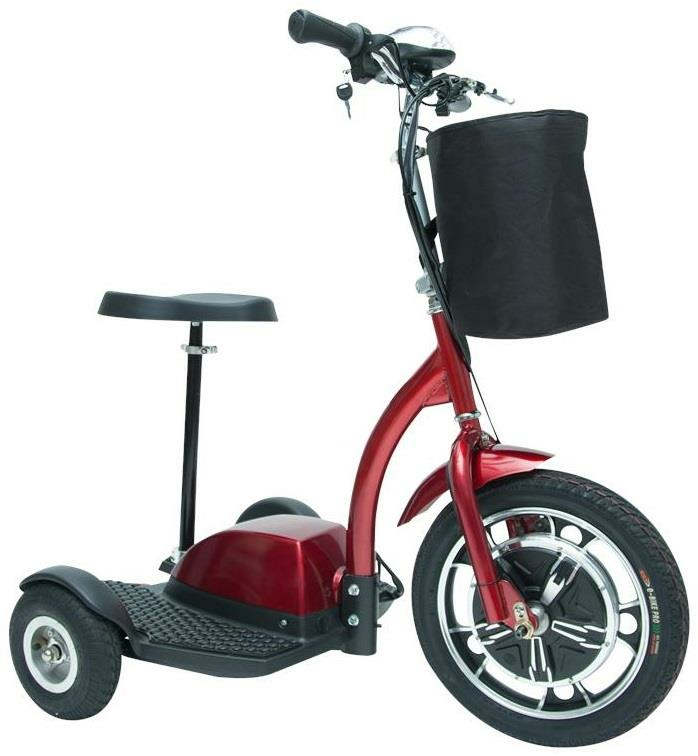 The narrow front wheel gives better maneuverability which means a three-wheel scooter can turn in smaller spaces. Being compact, it gives an additional benefit of easy transport. 3 wheel power scooters utilize less space and are lighter as compared to 4 wheel scooters while transporting. Though 3 wheel scooters are great for indoors, still they have compromised stability. The possibility of accidents while in speed and during sharp left or right turns cannot be negated. Same applies when riding the 3 wheel scooter on a steep incline or a slope. The user needs to be extra attention during these times. The best way is to develop good scooter driving skills. 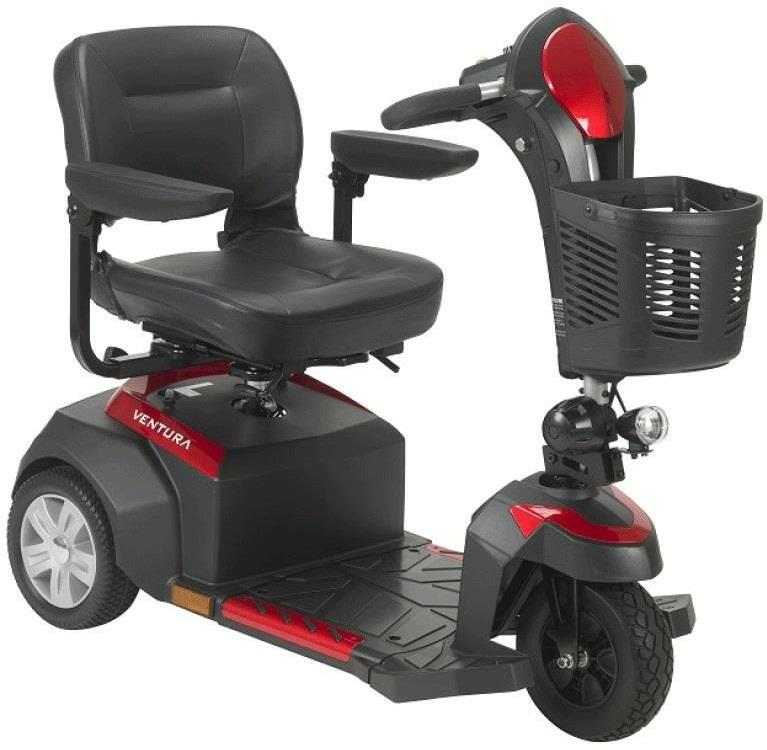 Where to buy 4-Wheel Mobility Scooters online? 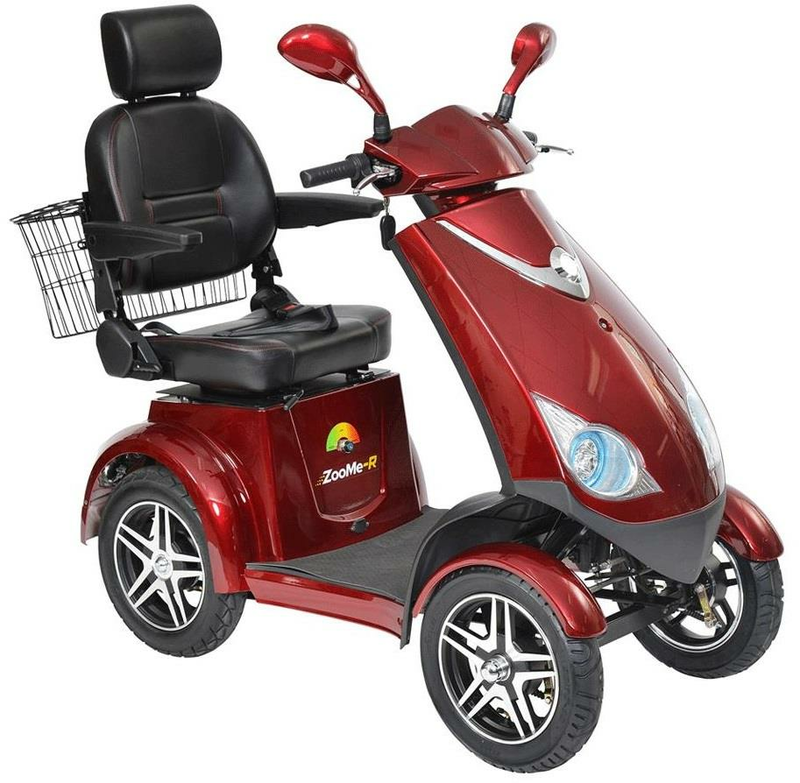 Shop Wheelchair offers a wide variety of options for 4 - wheel scooter from renowned brands like Pride Mobility, Drive Medical, Golden Technologies etc. Have a larger footprint that improves outdoor performance. 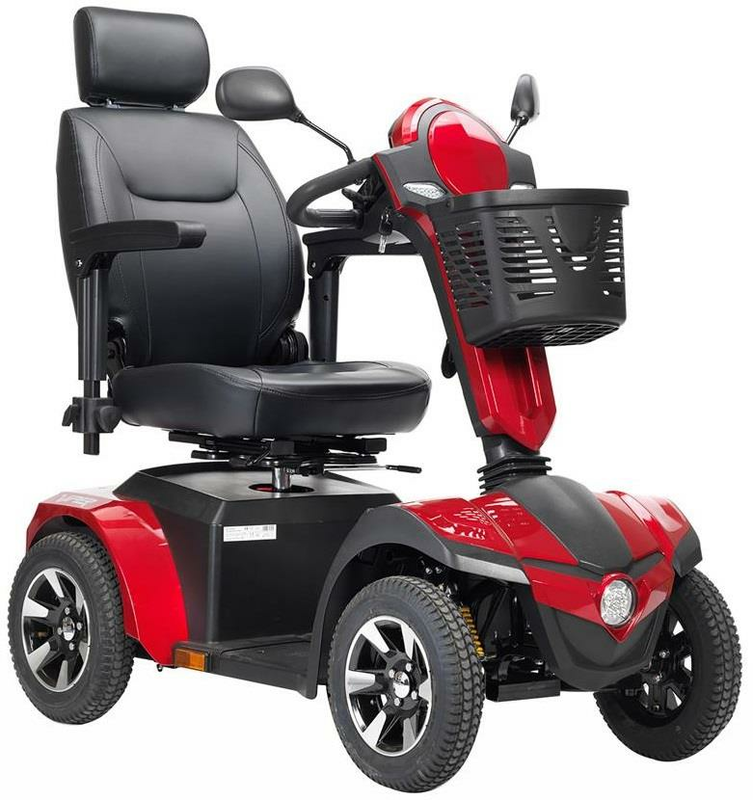 Can handle sharp turns in a better way than 3 wheel scooters because of its wider front end. Tall users can get extra benefit by getting the extra space to stretch the leg. Though 4 wheel motorized scooters have great maneuverability, they are very troublesome to use at the place with narrow doors. Like for a standard size residence, the scooter won’t be able to enter in the bathroom as the entrance of gate and scooter both are 22” wide. Comparatively, it is harder to transport four-wheel scooters because they weigh higher than three-wheel scooters and are wider as well. If the concern is more towards outdoor use and safety then one of the best options is Drive Spitfire Scout Four Wheel Travel Power Scooter. It is compact, lightweight and easy to disassemble into five pieces for transport or storage. Its adjustable angle tiller allows the client to position the controller into the ideal driving position. 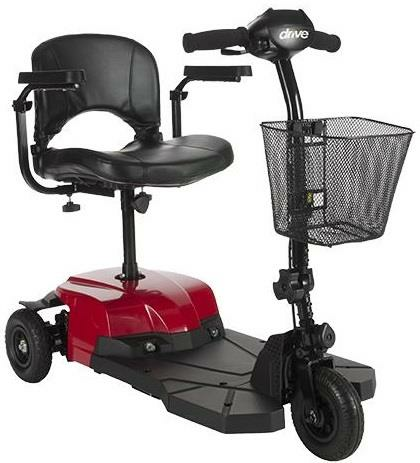 The mobility scooter also features convenient free-wheel release knob and anti-tip wheels for greater safety.